Samuel Burdett grew up in Kentucky. While still a young man, he joined the Union Army and served as a private for only twenty days before being promoted to corporal. Burdett fought for the last two years of the Civil War, and he was present at Appomattox when General Lee surrendered to General Grant. In 1866 Burdett was assigned to the all- black Ninth Cavalry, and he continued to serve until his resignation in 1883. Although it is unclear as to where he received his training, Burdette moved to Seattle with his wife Belle in 1890, where he opened up a successful veterinary practice. 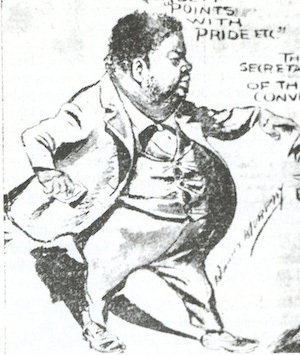 He had become one of Seattle’s most prominent black professionals by 1900. During this time, Dr. Burdett attempted several failed business ventures including short-lived insurance and benefit agencies and a Mining and Loan Company.